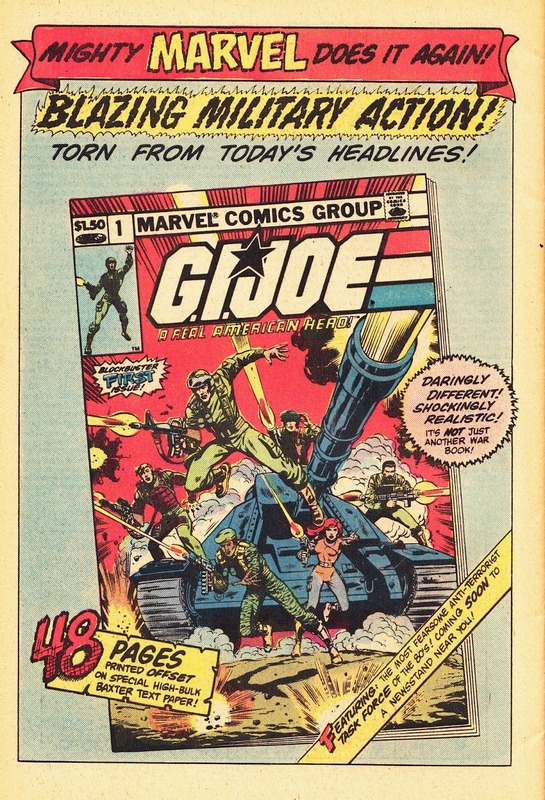 From June 1982, the MARVEL USA Launch Ad for G.I.JOE: A REAL AMERICAN HERO. 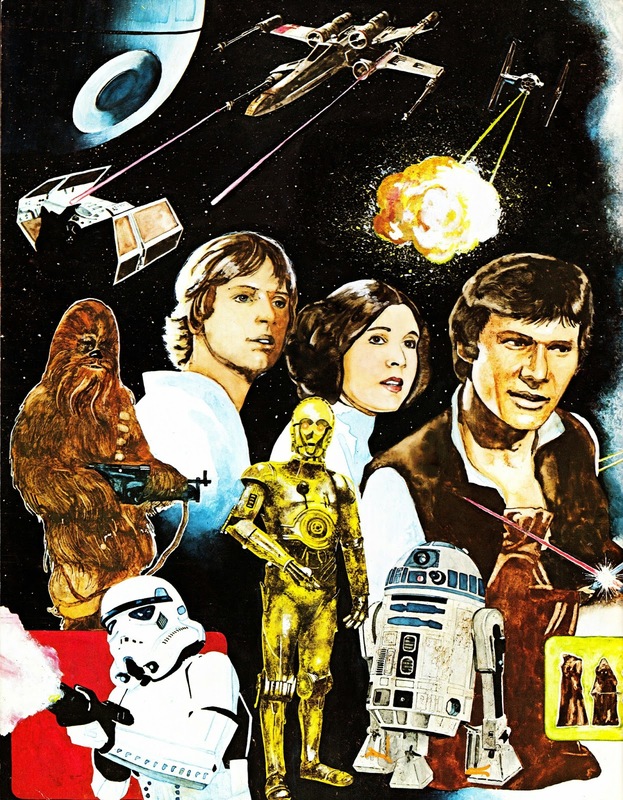 I doubt anyone, at this point, anticipated they were about to unleash a blockbuster…. More NIGHT RAVEN! 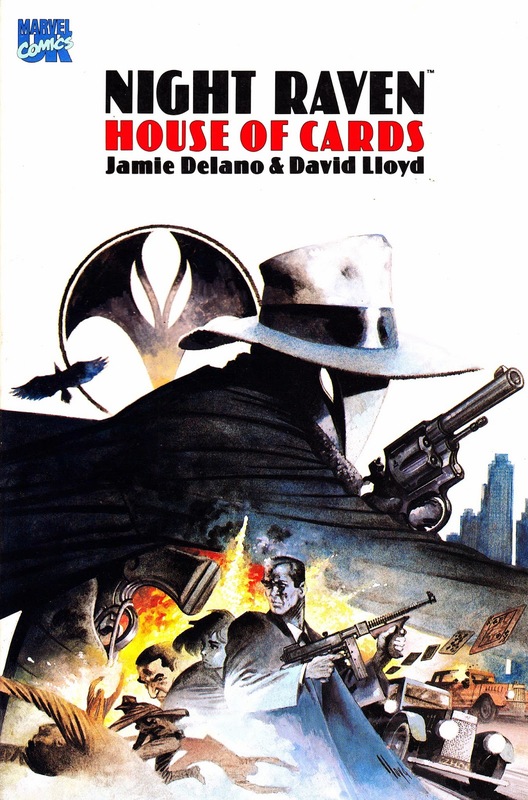 A MARVEL UK House Ad, published in the American comics, promoting the second edition of the HOUSE OF CARDS Graphic Novel. 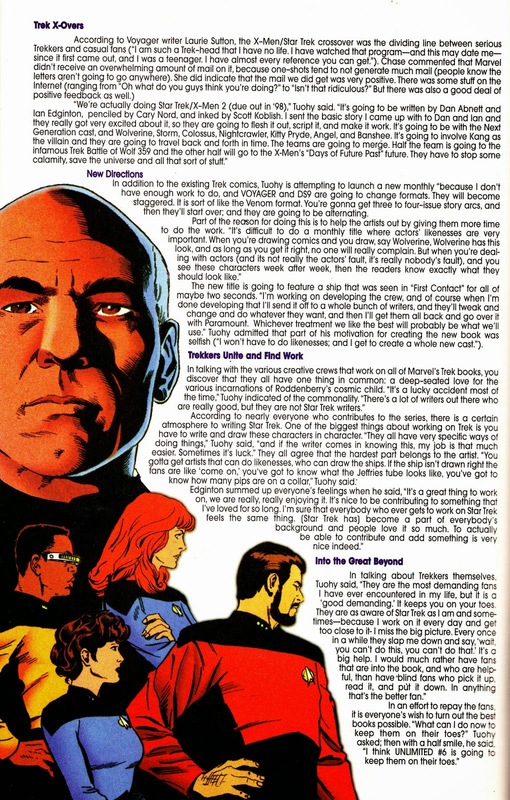 This appeared in titles dated February 1993. 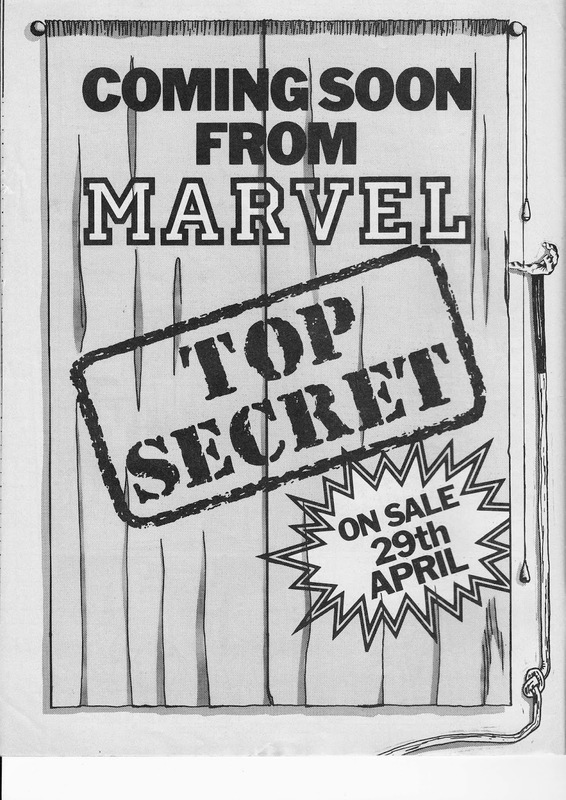 A MARVEL UK House Ad from 1993, announcing the imminent launch of the new, quarterly, FRONTIER COMICS UNLIMITED, an anthology spin-off from M-UK's Frontier Comics imprint. 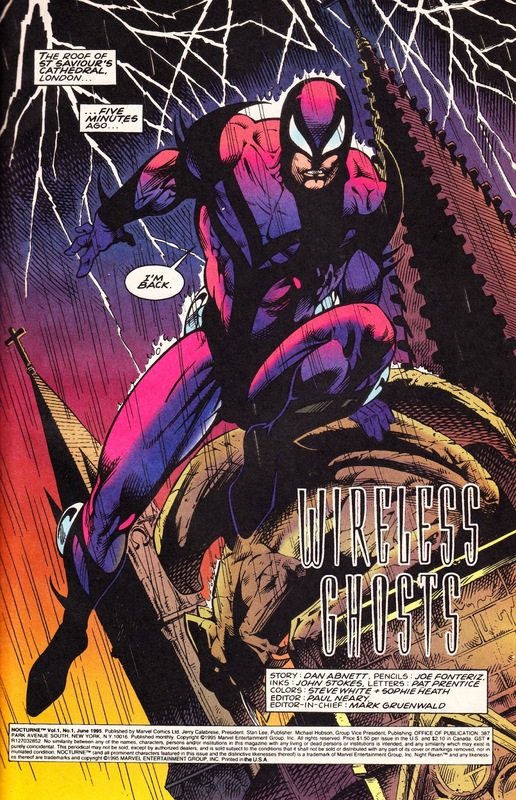 FC aimed to be something more akin to DC's Vertigo line: more edgy output that may, or may not, feature established Marvel characters. 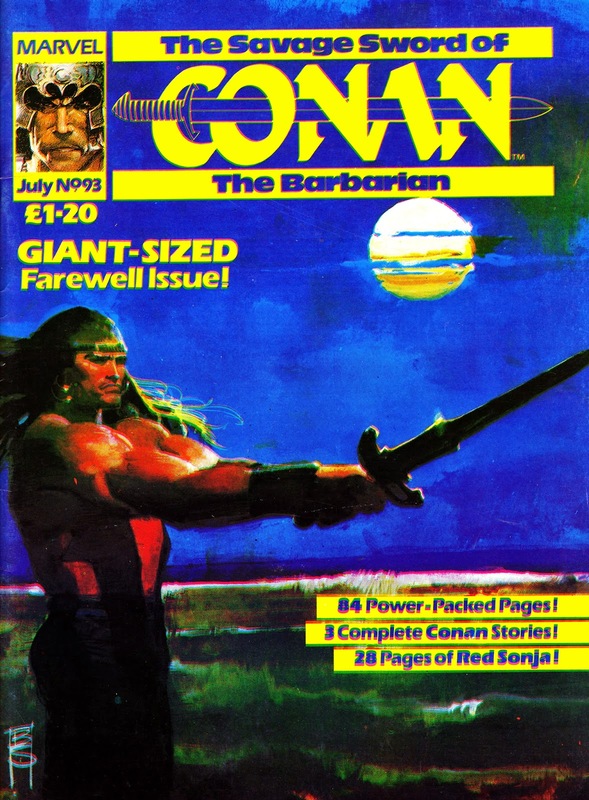 The line, edited by Michael Bennent, was made up of the Conan-alike BLOODSEED (announced as a four-issue limited series, of which two appeared, with a further two issues scheduled for 1994. 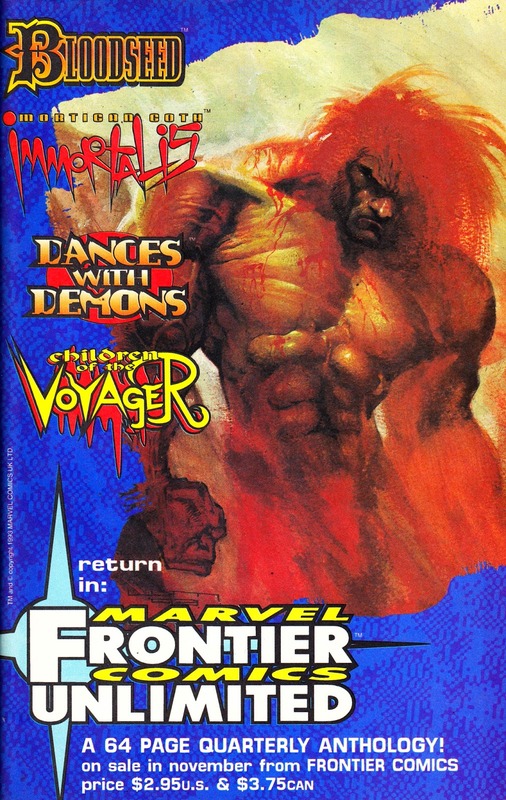 They never appeared), IMMORTALIS, DANCES WITH DEMONS and CHILDREN OF THE VOYAGER. 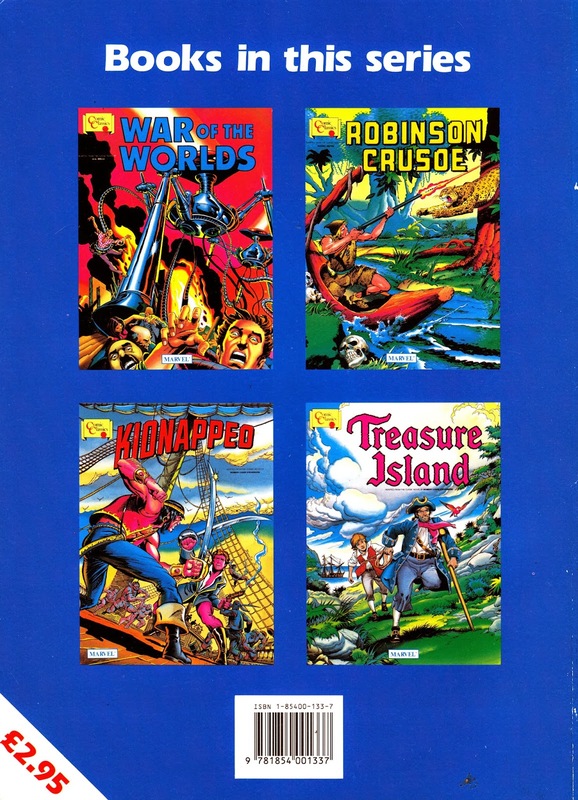 All of the above were four-issue series. 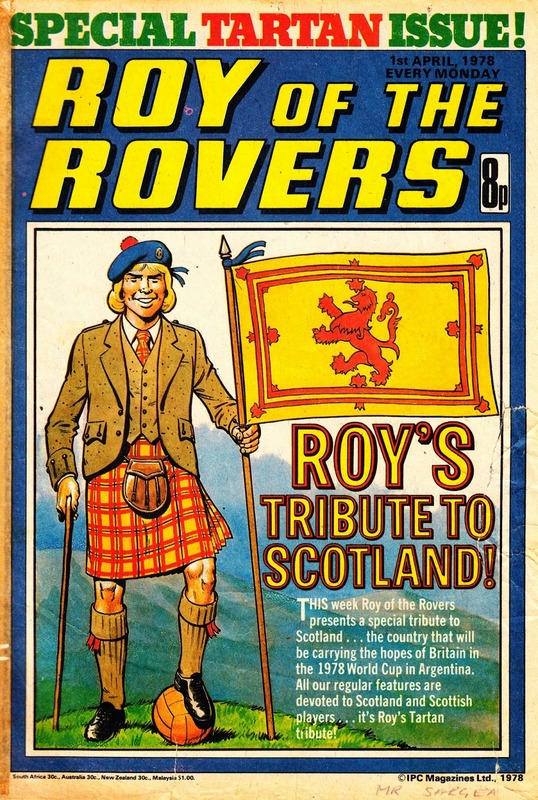 Not mentioned here are two original strips, Evil Eye and The Fallen which, presumably, were slated as possible contenders for their own FC books or, at the very least, return engagements in the quarterly. 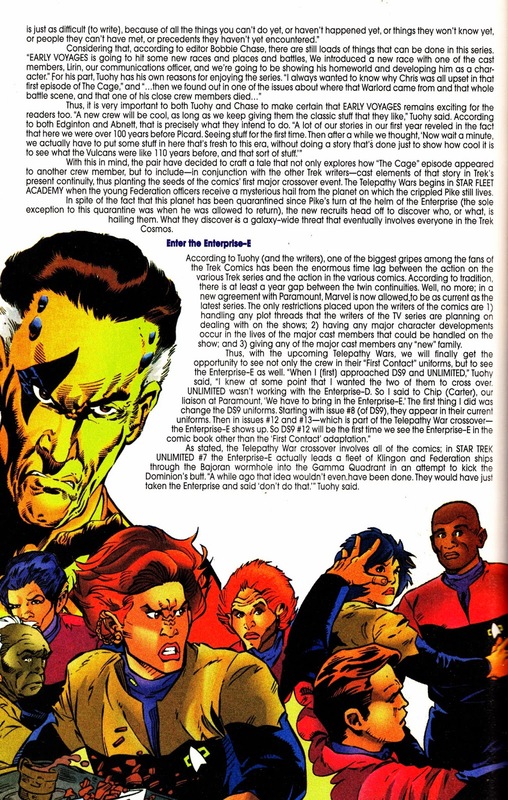 Unfortunately, the Frontier Comics line was one of the first things to be jettisoned when the GENESIS EXPLOSION started to turn swiftly into an IMPLOSION. 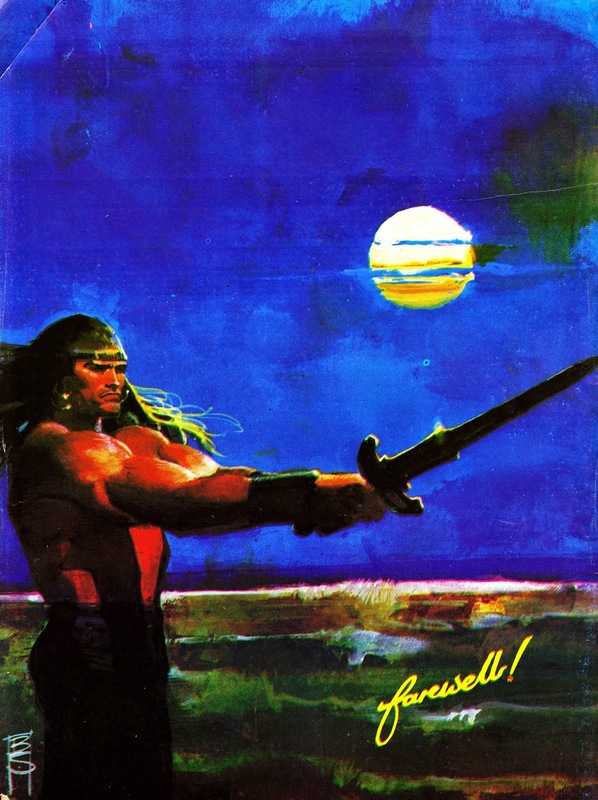 Fortunately, with the exception of Paul Neary's own Bloodseed, the existing series were all wrapped-up (not a privilege given to many of the M-UK books as the situation swiftly deteriorated) but the line was shuttered and all future projects abandoned. 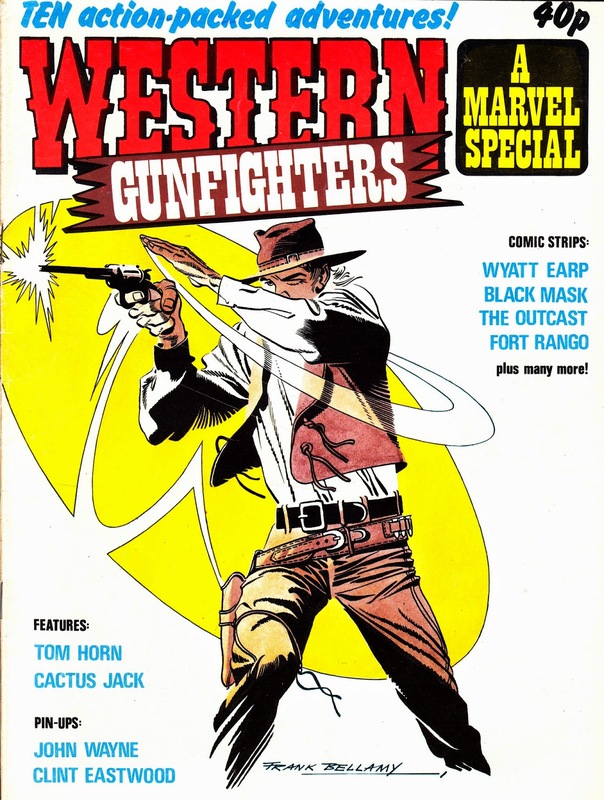 The first issue of Unlimited was hastily rebadged FRONTIER COMICS SPECIAL (they forgot to change the small print) and issued as a one-shot. 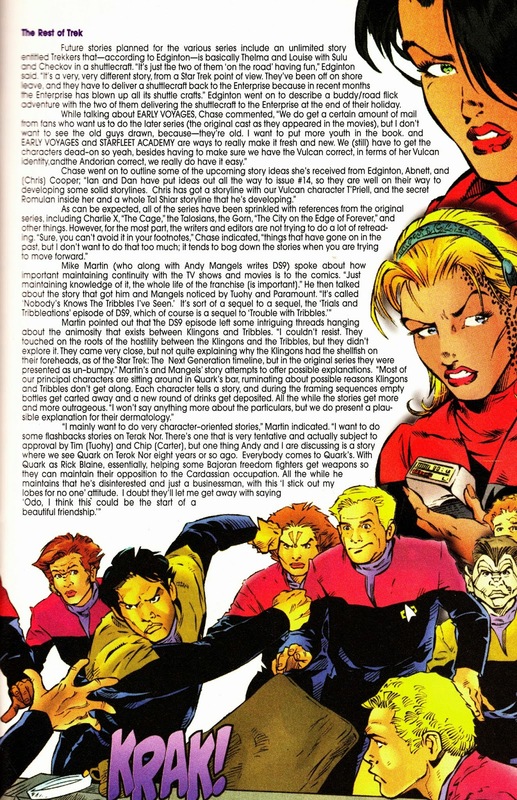 MARVEL AGE MAGAZINE covered the launch of the line here and there was also coverage in the short-lived UK fanzine COMICS SPECULATOR NEWS (yuck!) here. 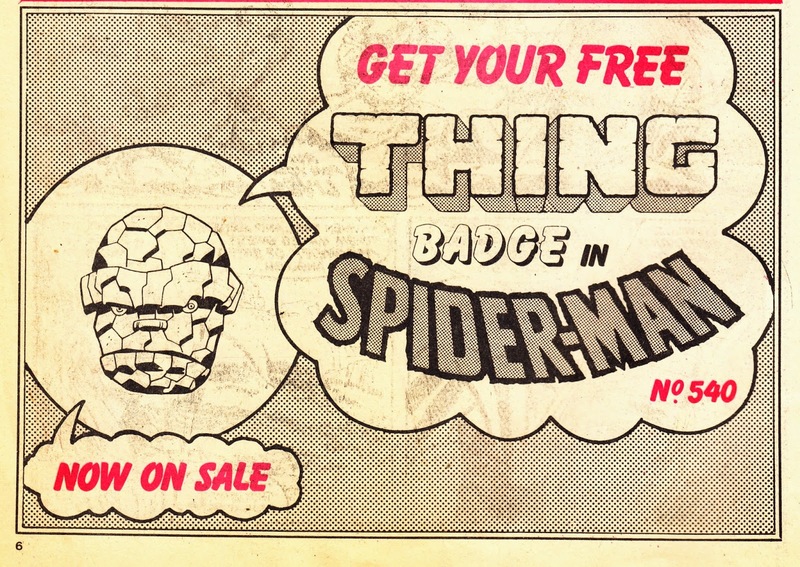 A MARVEL UK House Ad (from THOR issue 13, 13 July 1983) touting the free Thing pin-badge freebie cover-mounted to that week's SPIDER-MAN weekly. The badge made a triumphant comeback as the free gift affixed to the 10th issue of THE MIGHTY WORLD OF MARVEL the following year. 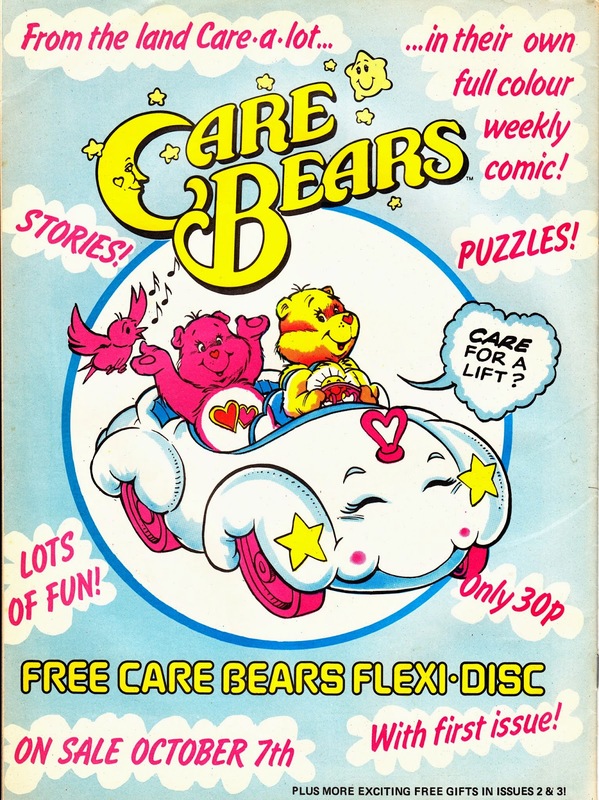 Soft, cuddly and full of love: the MARVEL UK House Ad trumpeting the launch of the CARE BEARS comic, part of a multi-media merchandising and media tsunami to shift the cuddly toys. 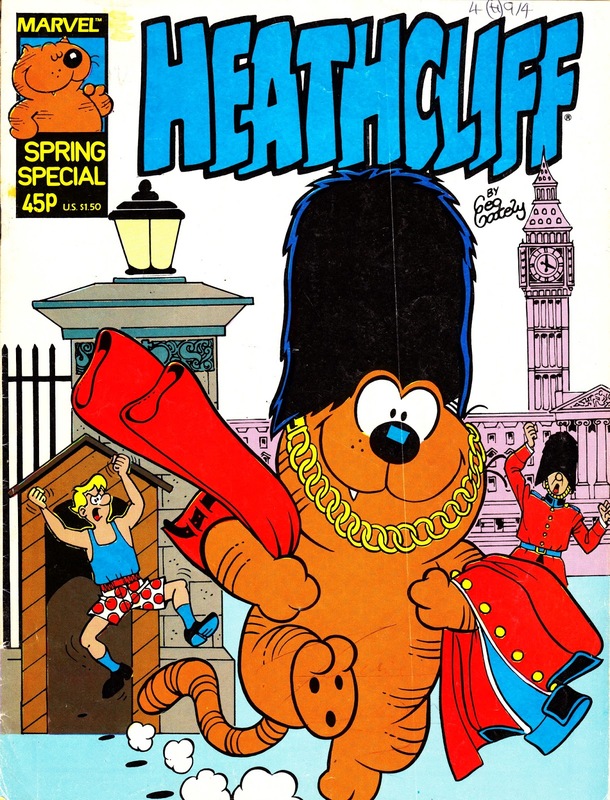 The weekly launched in October 1985 and was something of a pre-school blockbuster for the Annex of Ideas, clocking-up an impressive 147 issue run (plus annuals and specials). 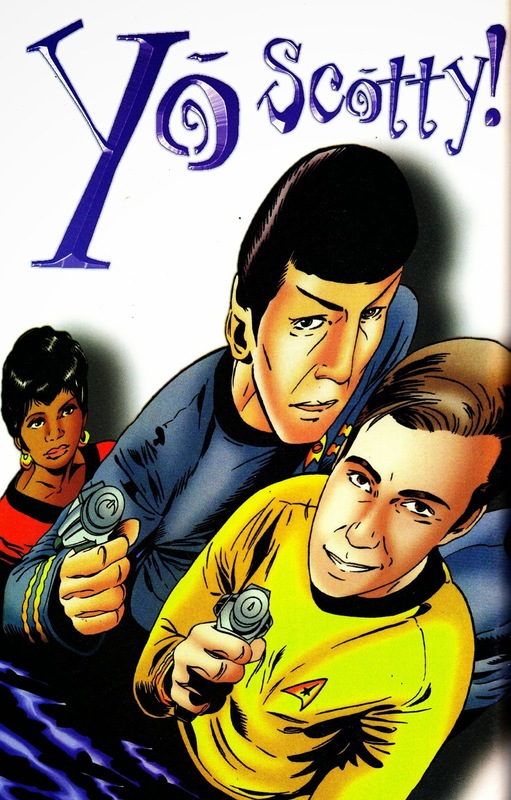 In comparison, THE GET ALONG GANG (which established the formula for this sort of offering) fell out after 93 weeks and ACORN GREEN (which lacked animated support) mustered only 36 issues. 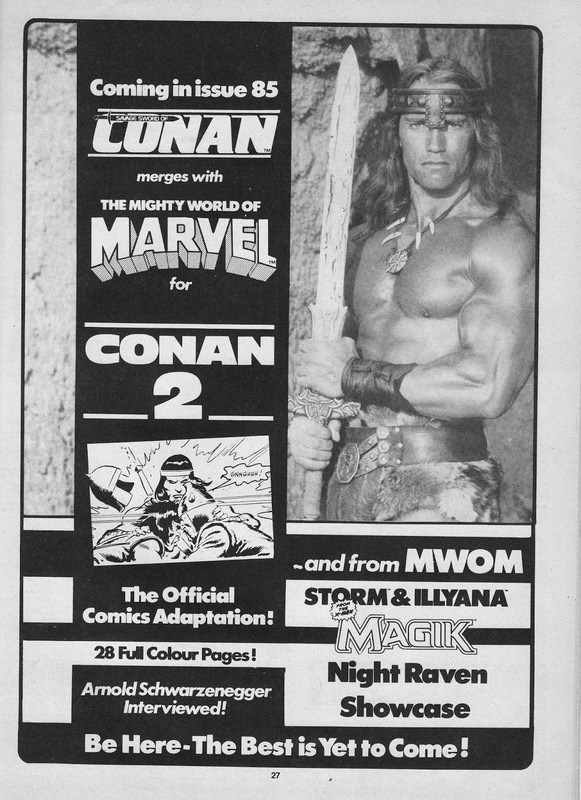 Although not of much interest to collectors of M-UK fare, this is significant because it shows why the company so decisively turned its back on its own characters in favour of licensed properties throughout the second half of the eighties. The flexi-disc (quaint technology from the past) was rarity for the British Bullpen. 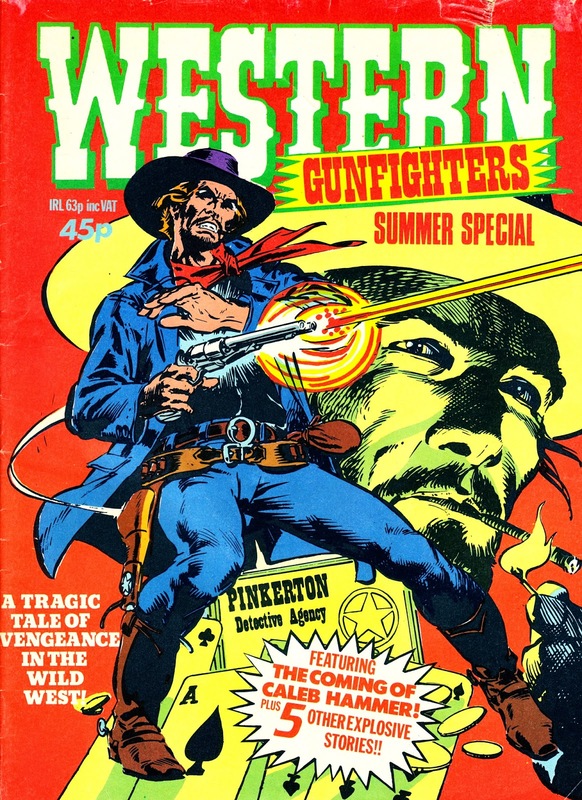 The monthly incarnation of WORZEL GUMMIDGE had featured one in 1981 and M-UK repeated the trick with the launch issue of ACORN GREEN the following year. 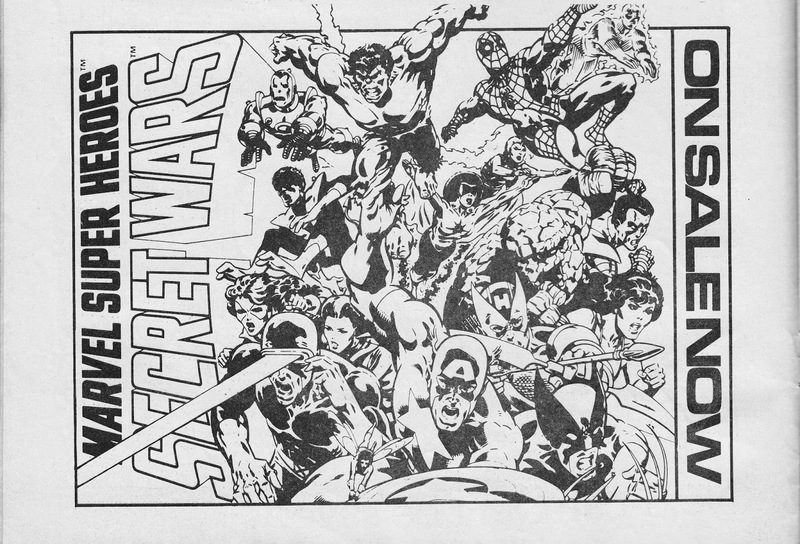 The strips were a mixture of reprints from the US Star Comics book and newly commissioned material from the folks at Redan Place. The back-up strip was (initially) Strawberry Shortcake. 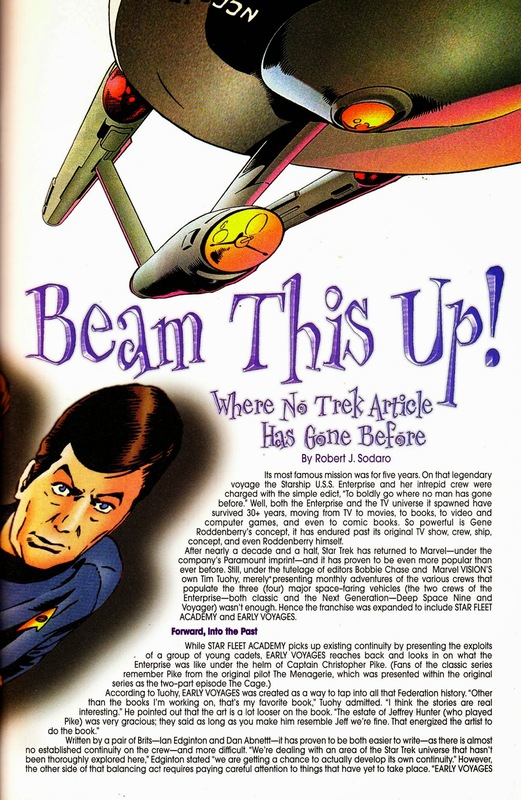 The CB animated series was part of the roster of toy-based cartoons served up by TV-am. 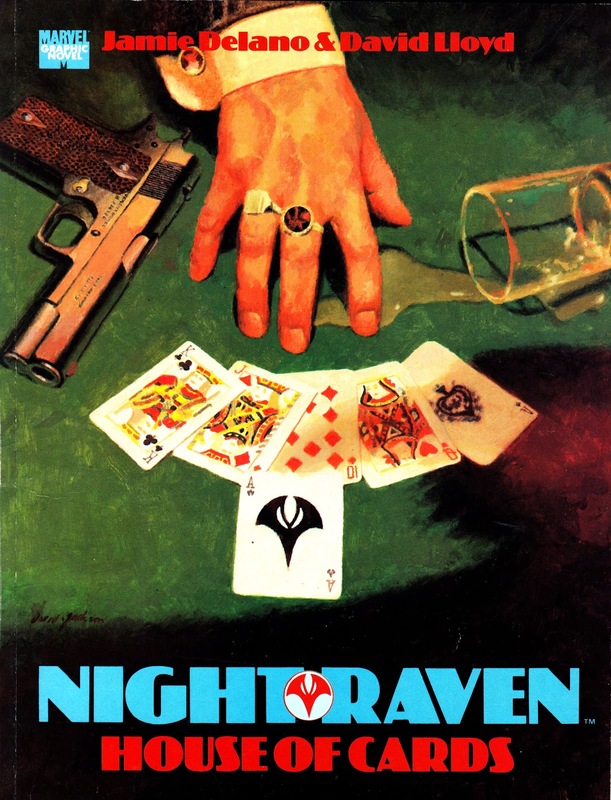 One book: two editions: MARVEL UK issued two different versions of the original NIGHT RAVEN graphic novel HOUSE OF CARDS only a year-or-so apart. 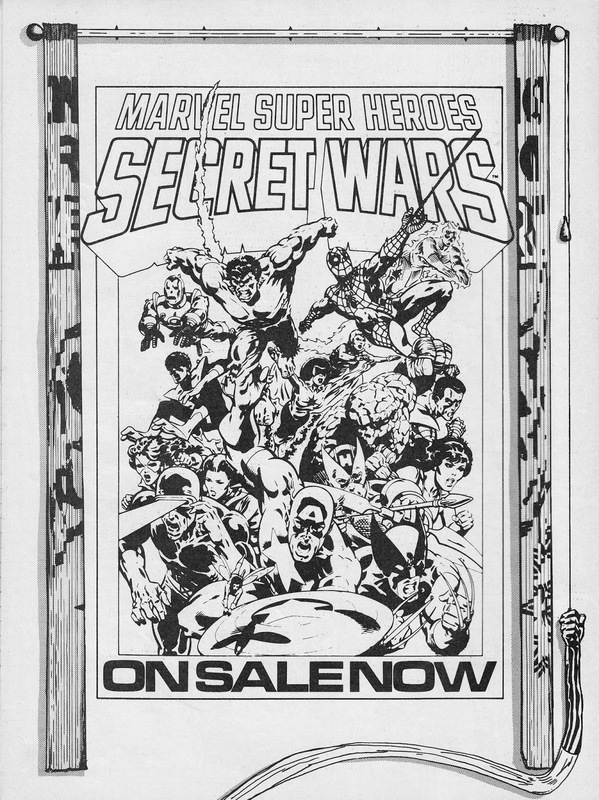 The 1991 first print was an A4 sized affair. 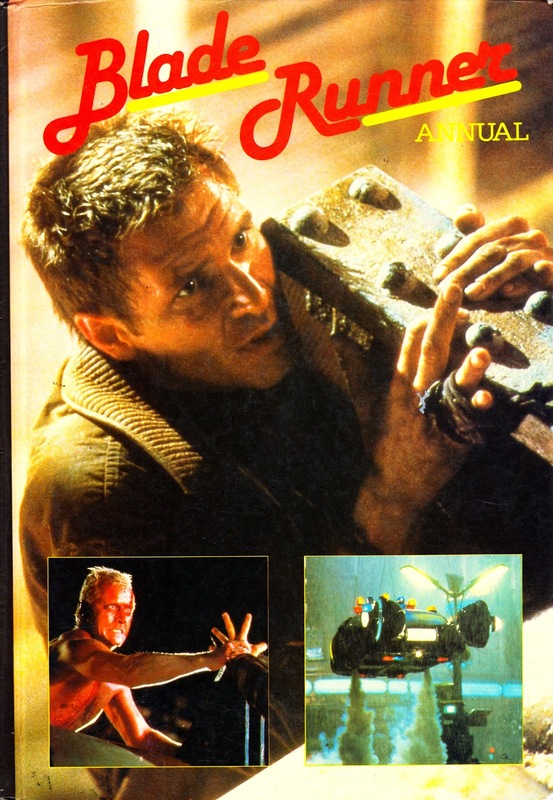 The second, published as part of the GENESIS 92 wave of material pitched specifically at the US market (although it wasn't part of the G92 sub-universe of characters), was a US-sized 'bookshelf' (aka "the Dark Knight format" for old 'uns) squarebound edition. In my experience, it's actually the 1992 version that is the harder to find today. I've only ever seen one copy… and this is it! Whichever the version, it's well worth seeking out. 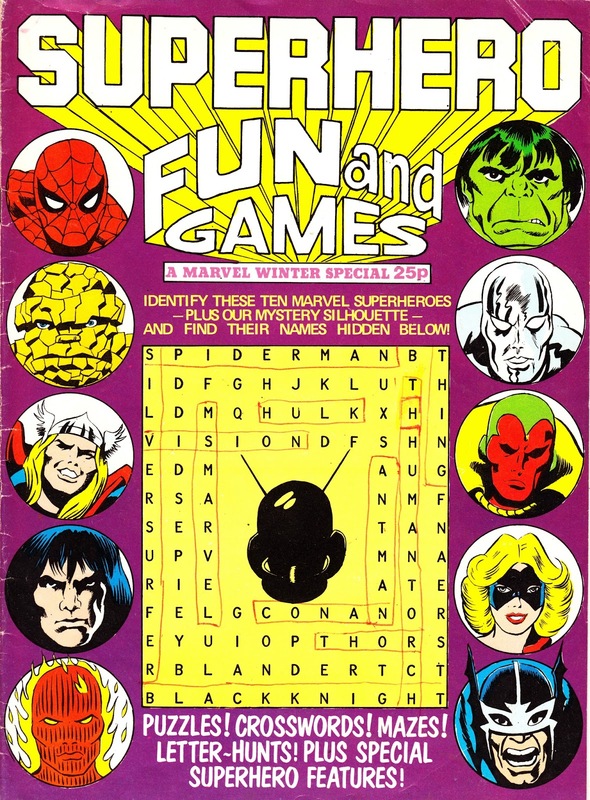 The character, of course, made his debut in 1979's launch issue of HULK COMIC. 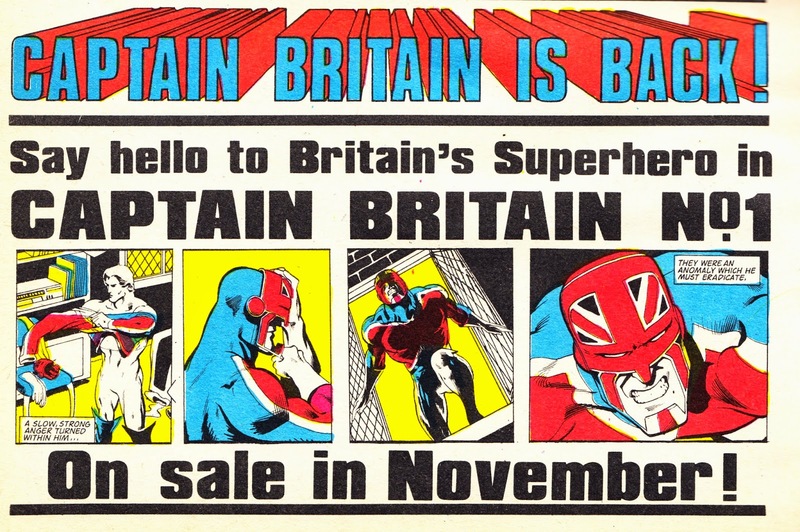 Although the strip (latterly reprinted in 1985's CAPTAIN BRITAIN monthly and again, this time in colour, in a graphic novel compilation) couldn't escape Hulk's diminishing origination budget, the character did continue to appear in as series of prose adventures which ran across the M-UK monthlies (skipping from title to title as each was, in turn, canned) and included contributions from Alan Moore. 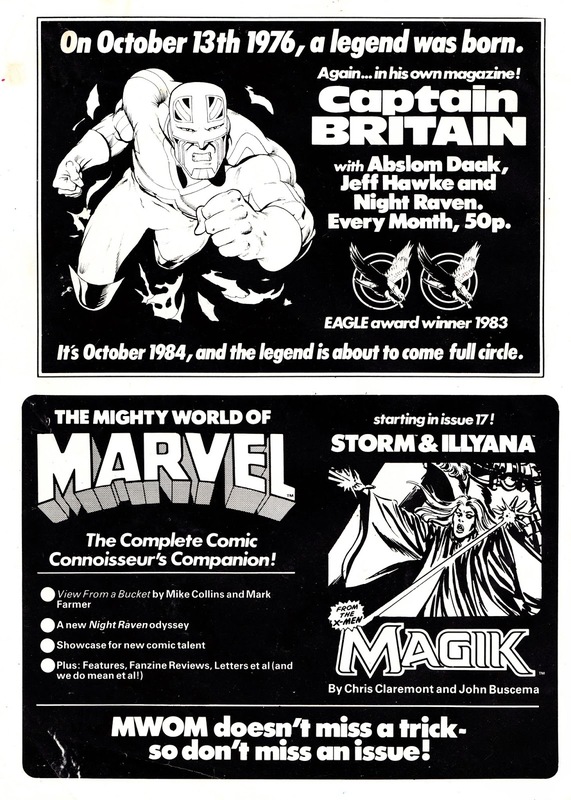 From the SPIDER-MAN WINTER SPECIAL 1984: a rare half-page colour House ad for the (launched-slightly-later-than-billed) CAPTAIN BRITAIN monthly. 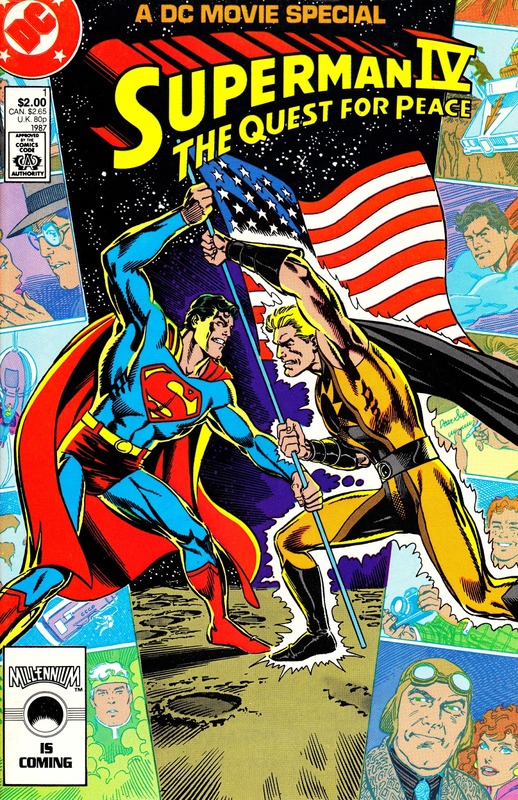 This is DC Comics' (of course) adaptation of CANNON FILM's low-flying entry into the SUPERMAN movie franchise: the much lambasted (I saw it in the cinema in 1987… I believe it was deemed more acceptable than whichever JAWS sequel was playing on another screen at the same time… and it was pretty bad) SUPERMAN IV: THE QUEST FOR PEACE, the last outing in the original sequence of films. 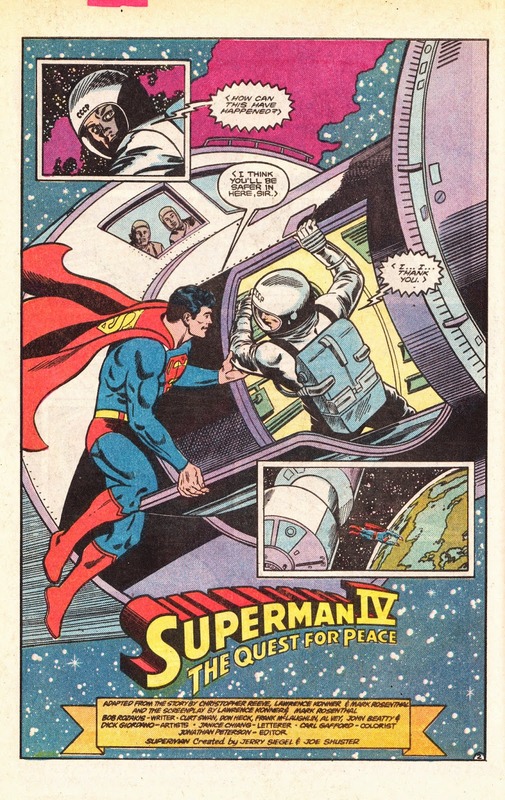 Somewhat unbelievably, DC had only started doing adaptations of these movies with the third outing (they also covered-off dodgy spin-off SUPERGIRL) because the corporate mandarins believed that having the movie version of Supes AND the regular comic book incarnation appearing on news stands at the same time would confuse the punters. Go figure. 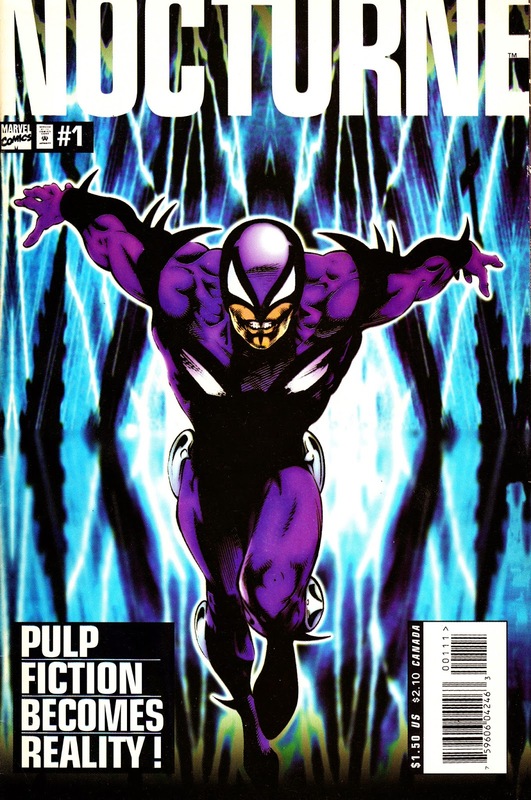 NOCTURNE is another Mighty MARVEL UK obscurity: a last survivor from the British Bullpen's ambitions to be an originator of mainstream (albeit with a British twist) superhero adventure comics (which, for the most part, went up in smoke during the late 1993/ early 1994 Genesis Implosion. 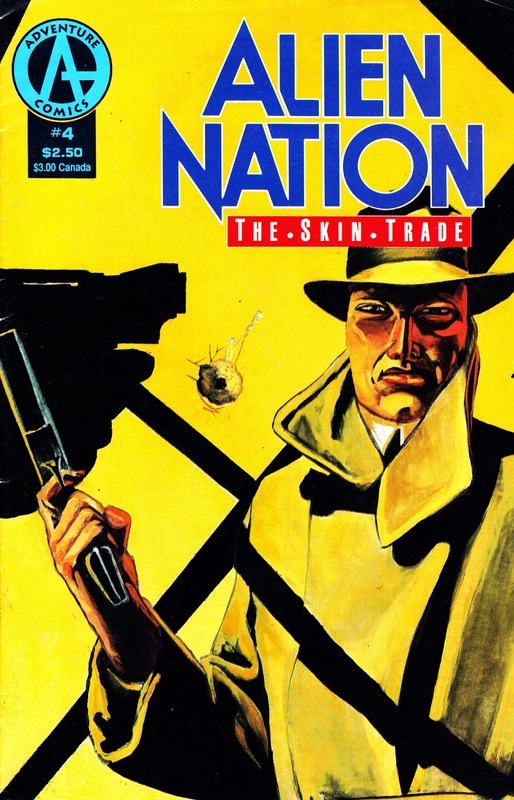 Dated June 1995, this was put together by a British team overseen by Paul Neary (he served a similar duty on THE CLANDESTINE) but published as part of the US line. 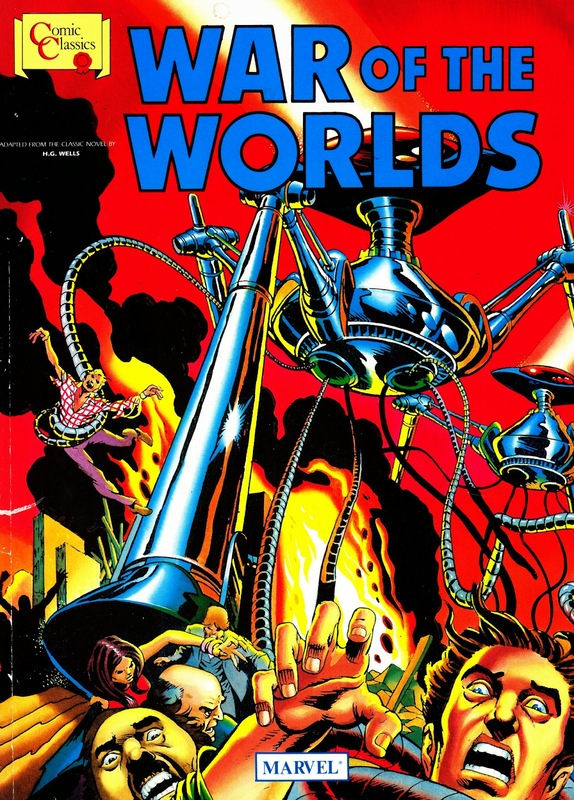 Apparently with minimum hype as this passed me by entirely at the time despite running for four issues. 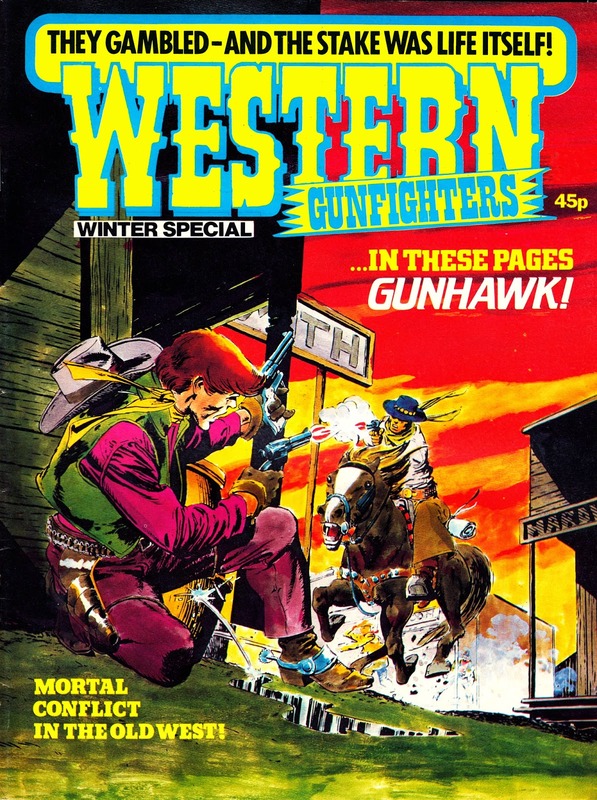 I stumbled across this first issue (sadly not the remaining three) in a dealer's dump bin at the weekend… and the name rang a bell. 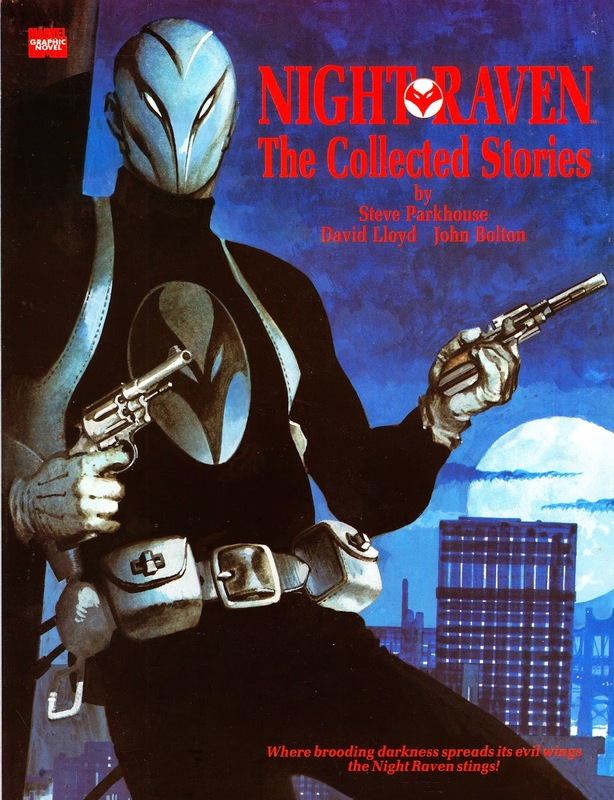 The M-UK connection (other than the creative team) here is that NIGHT RAVEN is featured, albeit in flashbacks as a fictional character… who may not (you can see where this is - probably - going) have been as fictional as everyone assumed. I really enjoyed this first issue. Dan Abnett's plotting doesn't feel very original but it is highly enjoyable and I hope I get a chance to read the remaining chapters soon. More disappointing is Nocturne's costume design: it looks like a pimped-up Phantom and is far from memorable. 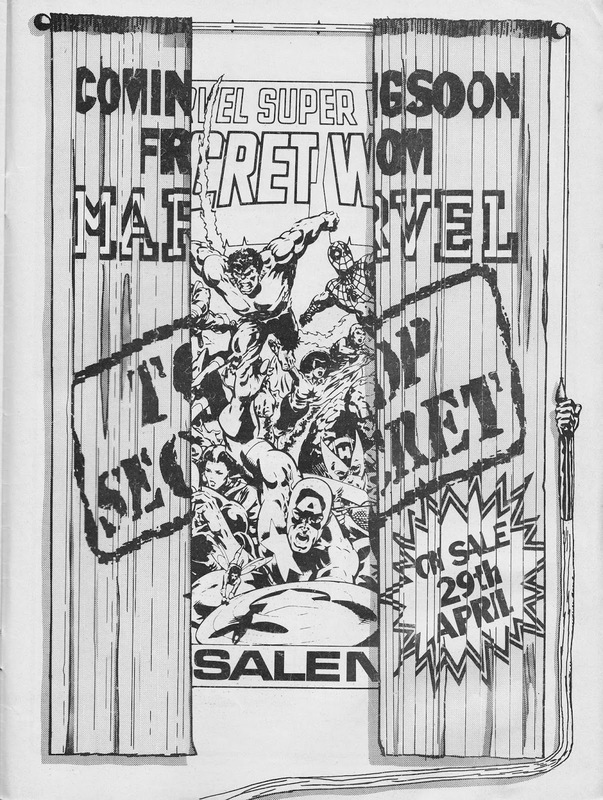 This came as a pleasent surprise at the weekend… whilst rummaging through a box of assorted Dealer Dross I found this genuine obscurity from the MARVEL UK vaults: an A4 softcover album format (by Proost) edition of the seventies (copyright 1976 according to the small print… the only date I could find anywhere herein which makes dating it difficult, although the publication address is Arundel House) adaptation of the original WAR OF THE WORLDS (by Wells, of course). 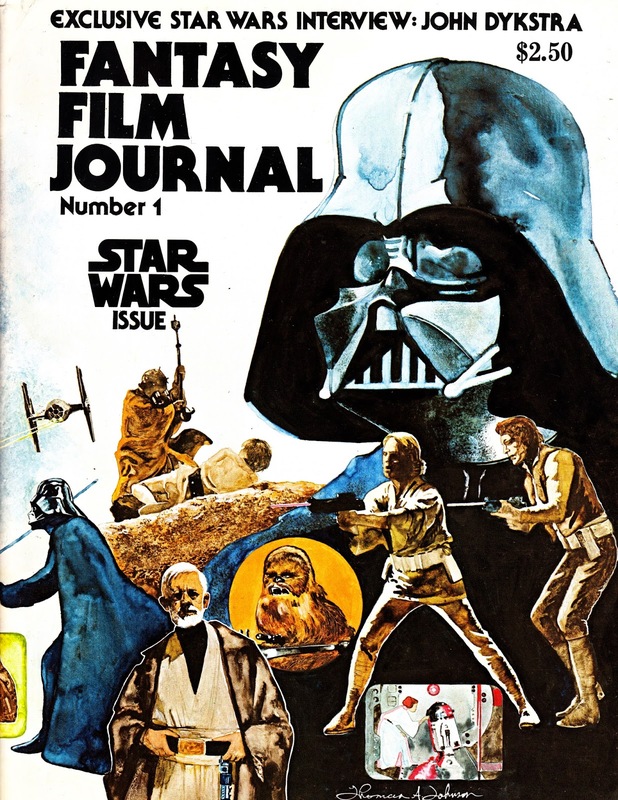 There's no credits anywhere (even on the strip itself - which looks gorgeous - which I'm not sure is true of the original or whether they've been deliberately removed from this edition. 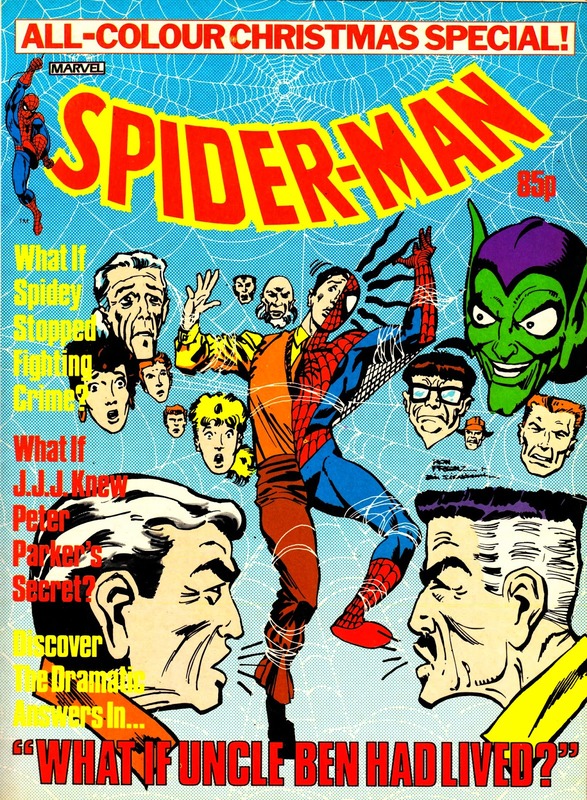 A quick Google search reveals it to be Claremont, Kane and Cockrum) including this stunning cover which looks like a recreation of the original art used on MARVEL CLASSIC COMICS 14, where the material first appeared. 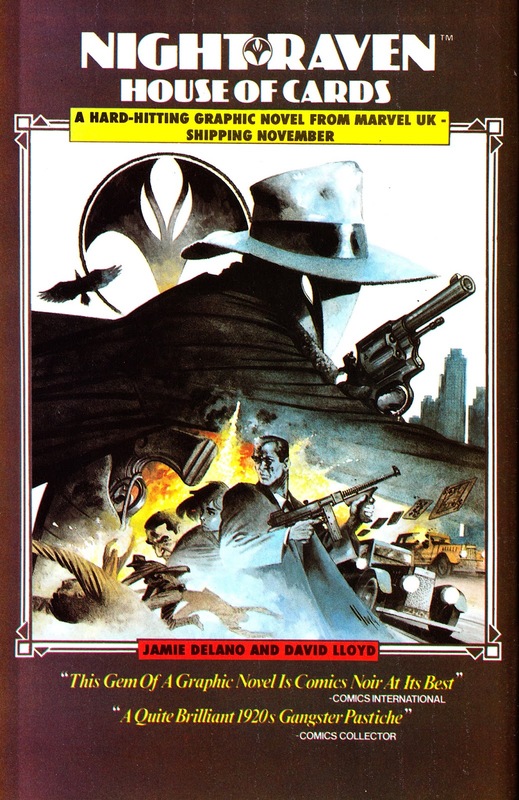 The back cover simply reproduces the covers of the four books in the series. There are no supplementary notes, text pages or editorial inside. 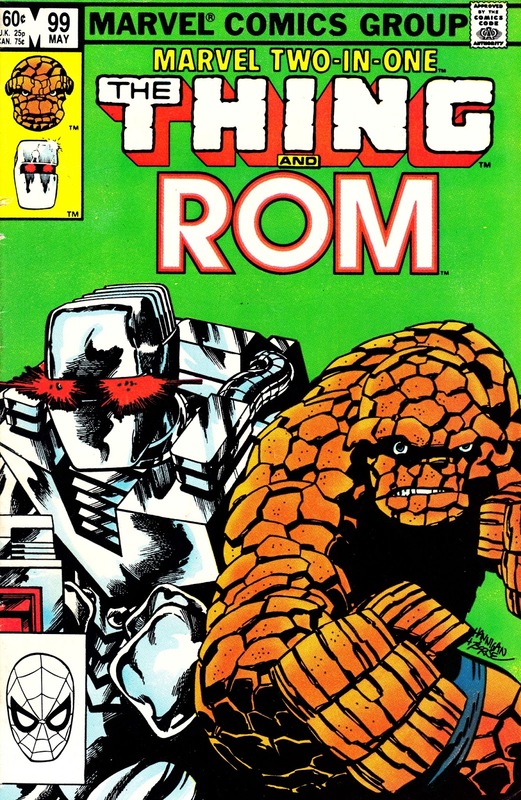 I would imagine these were published through the MARVEL BOOKS operation and intended for sale in book departments and stores rather than newsagents. I've never seen copies of any before which, I imagine, makes them amongst the rarer M-UK fare. And it cost me a £1. Hurrah. 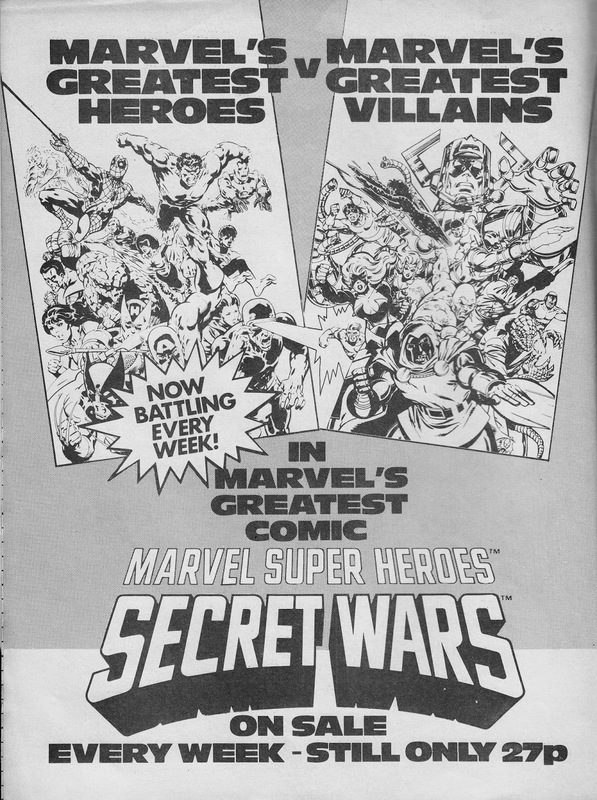 The above is a selection of MARVEL UK House Ads for MARVEL SUPER HEROES SECRET WARS from 1985. 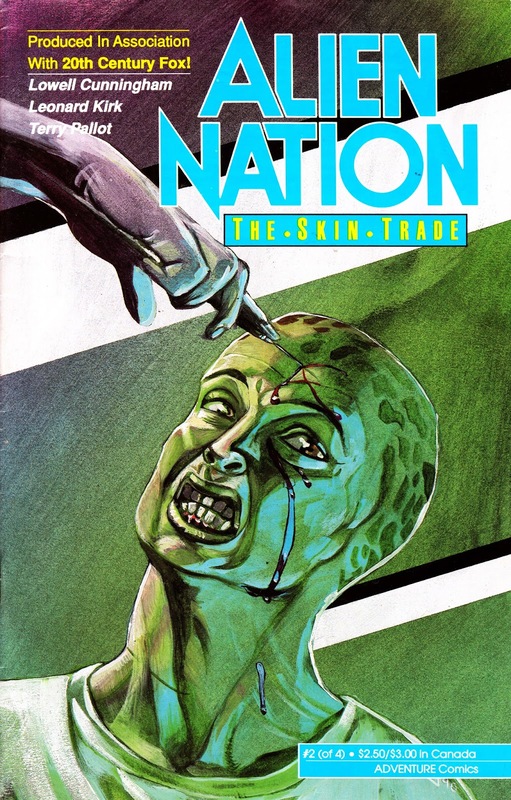 The ALIEN NATION TELEVISION SPECIAL was an Adventure Comics/ Malibu Comics black-and-white bookshelf-format (card covers!) 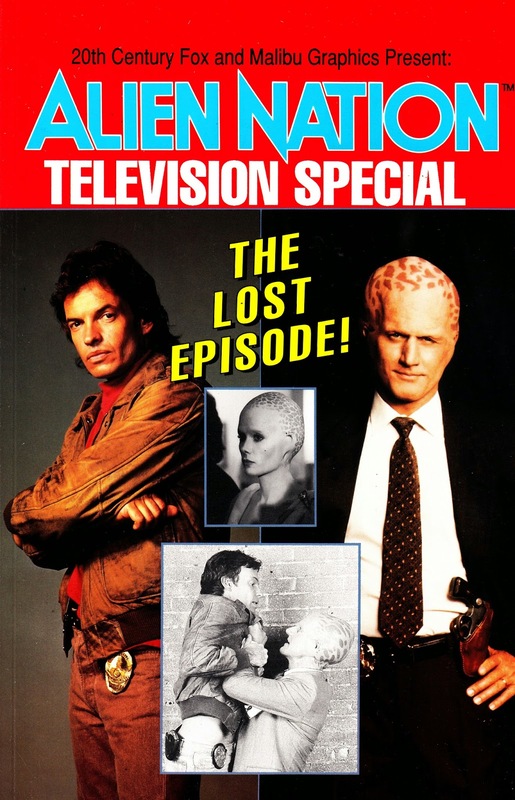 one-shot from 1982 that adapted the unshot resolution to AN's solitary season on the small screen. 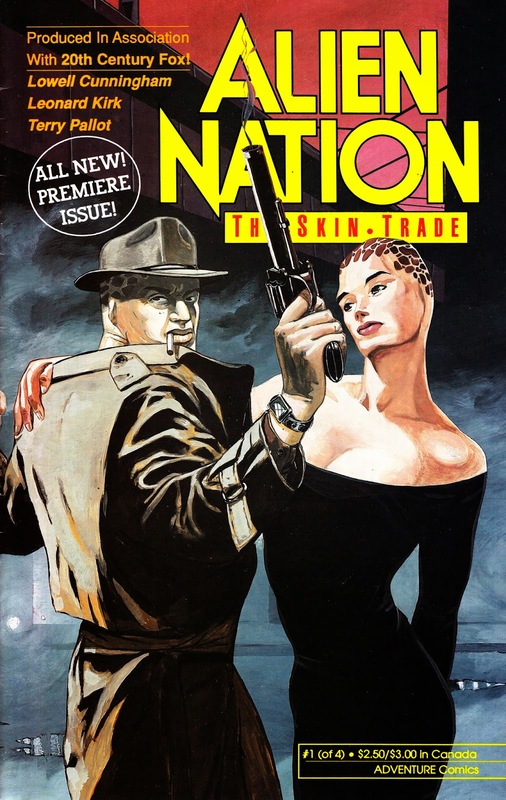 The episode, Soul Train, had been written to open the second TV years and wrap-up the numerous dangling plot lines and associated jeopardy from the season one wrap-up. Unfortunately for Kenneth ("V") Johnson and the show's team, FOX decided to forsake one-hour drama shows in favour of comedy and factual and AN was dumped. 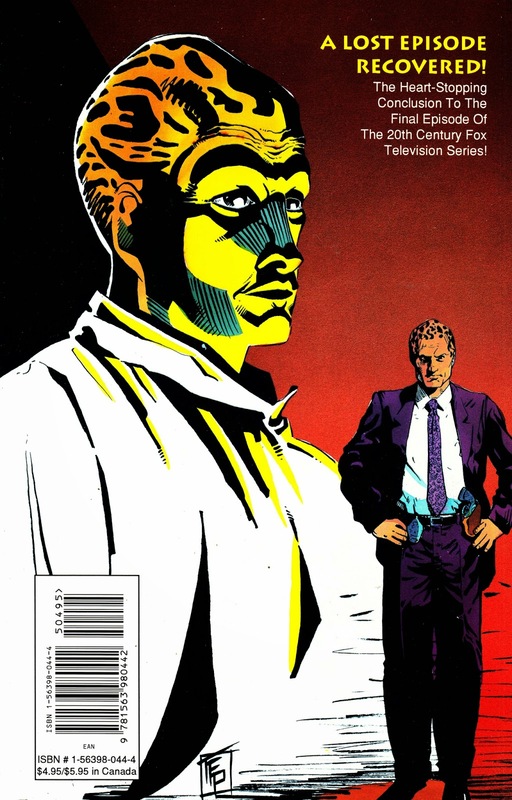 Years later, FOX revisited the would-be franchise with a series of five new TV movies which reunited the cast and behind-the-scenes creative team. Elements from this script were worked into those movies. 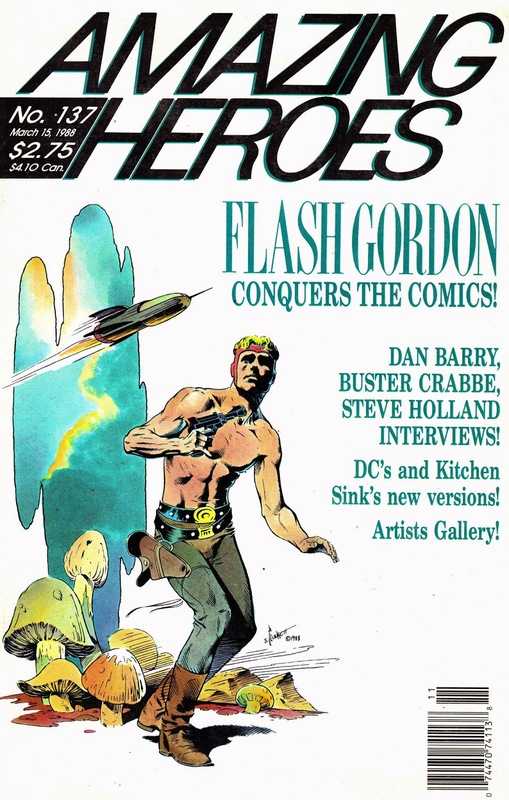 This special issue of 1980s fan magazine AMAZING HEROES (issue 137, 15 March 1988) was devoted to the many facets of FLASH GORDON, including the new DC Comics interpretation (which I posted about here many moons (of Mongo) ago). 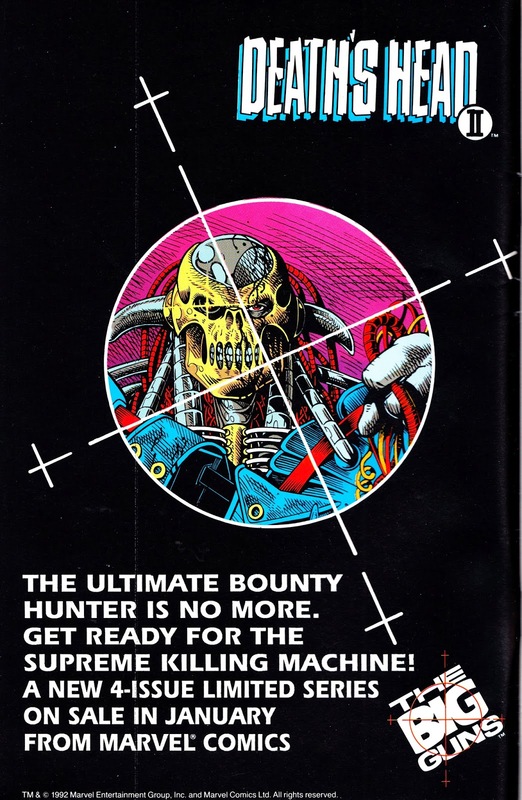 This launch add for the DEATH'S HEAD II limited series, the title that kick-started (in all but name) the GENESIS 1992 line from MARVEL UK, was one of a series of one-page House Ads for the "Big Guns" promotion (a marketing push for edgier/ violent fare such as Cage, Silver Sable, the Punisher and Deathlok). 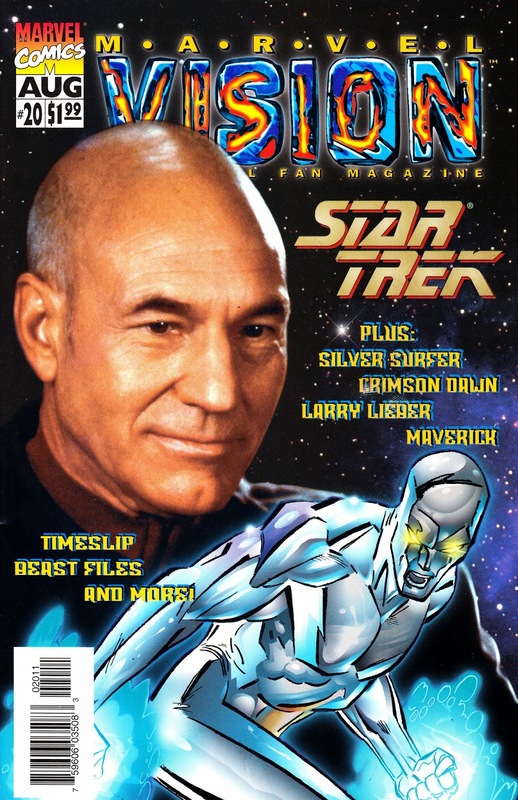 The campaign obviously worked as the initial DHII series was a massive seller (M-UK went back to print with a silver ink second edition) and kick-started the whole G92 project (none of the characters appear in this series but the back pages contained various House Ads and previews teasing the first wave of titles). 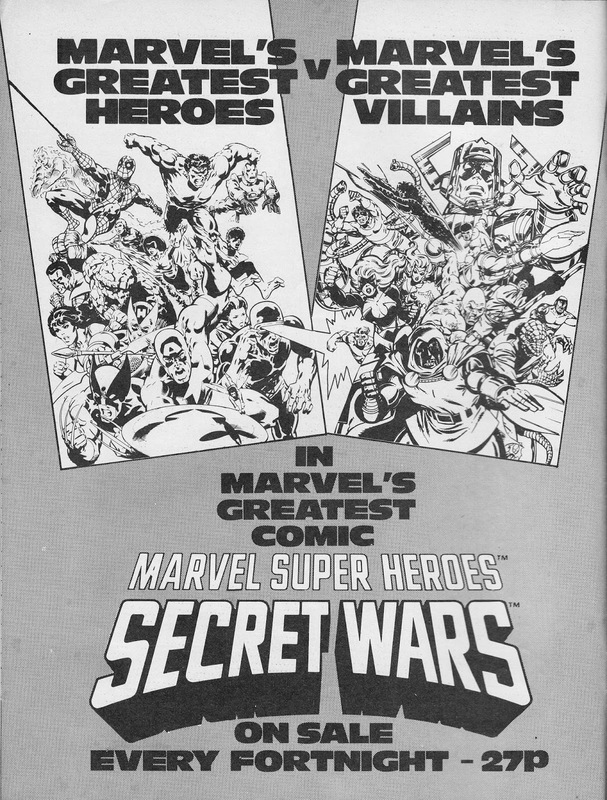 This ad appeared across the US line, this particular one is from (of all places) the one-shot CAPTAIN AMERICA movie adaptation.